Our technology and range of products evolves perpetually, and we continue to develop and improve proprietary solutions to solve problems facing our advertisers and users. Our development projects range from general to niche-specific and our unique team of creative professionals uses cutting-edge technologies to build sites and apps customized to fit the needs of our clients and end-users. We work behind the scenes to help our clients fulfill users' needs, from finding the cream of the crop of competing lenders to making home searches smooth and accurate. Not only are we dedicated to helping end-users, we're committed to keeping you up to date with the latest technologies and designs. As a result, it's easier for you to stay ahead of the competition and capture the highest quality mortgage & real estate leads. 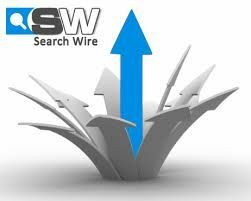 Once you’re ready to scale up your lead volume, Search Wire is here to help. We can generate additional purchase leads, seller leads and refi leads for any part of the country.